It seems there's quite a few posts about these machines at the moment. I've now been playing around for a few weeks with beans i know are good, but am getting pretty horrible results out of the machine - I am getting no bean specific tastes; have tried 3 different beans and they all taste near identical, i would assume because i am not extracting what i need from them. I decided to measure my temperatures yesterday and noticed that the machine only seemed to be putting out temps ~78-83c which i believe is well below what i need for a decent expresso? Is there a themostat i can play with, or am i pretty much out of luck with this machine? Last edited by Sprooty; 17th November 2014 at 01:13 PM. I've ordered a replacement thermostat from here; cheaper than i thought it would be. Pulled the machine apart to find that according to the official spec of the machine; the thermostat in mine is the wrong one! It is a 85c thermostat; Perhaps the machine has been previously repaired and the wrong cap was used.. The replacement 95c is on its way; however i'm going to head to JayCar and pick up a 100c one and see how i go. I decided to measure my temperatures yesterday and noticed that the machine only seemed to be putting out temps ~78-83c which i believe is well below what i need for a decent expresso...? a) Be aware the "instruments" (loose terminology) you are using to measure the temp could be out by a mile. 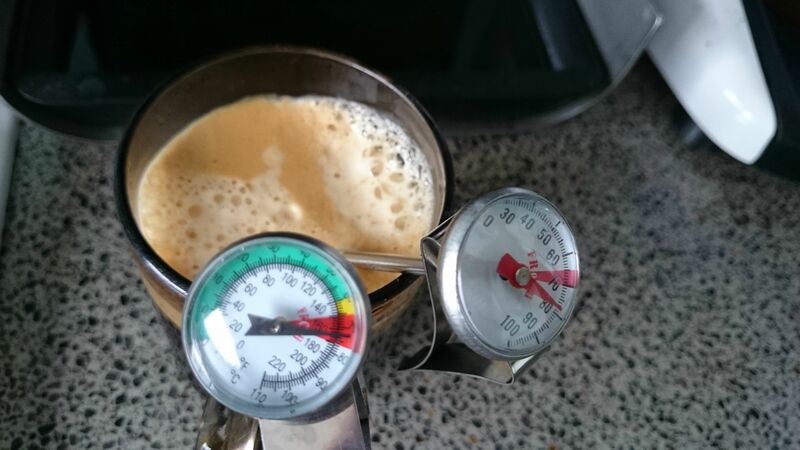 b) However assuming they are within cooee.....sticking a thermometer into a brewed espresso, will in reality give readings around 75 degrees. "Normal" (for the testing method used, and the expected temperature loss from water at the group to coffee in the cup). 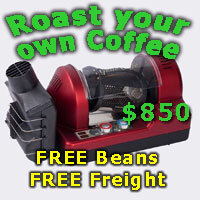 Try the 95 and see how it goes, you will find it will need a much bigger cooling flush to start with...and then it will be up to you to change your management of the machine to make your coffee. I would forget the 100.